I have been blessed with the opportunity to conduct digital and mobile strategy workshops and speak in many places around the world. Because of the frequency of these trips, I often don't have time to research in advance the locations I will be visiting. That can be both good and bad. I am often pleasantly surprised to stumble upon a famous historical landmark with little or no knowledge that I was in its vicinity. Surprises are fun. The downside is stumbling upon a recognizable landmark or building, but having little knowledge as to why it is recognizable, and having no time to look it up. There is now a useful app for that! Google Field Trip is a mobile app I downloaded recently that uses many different data sources, tied to GPS coordinates, to inform you about your location and environment. Here in Boise, Idaho, it popped up messages about historic events that happened at locations near me. I love it! It informed me as to where the original trolley line was located, when the old granite penitentiary was built, and where geothermal springs are used to heat public swimming pools. This information augmented my reality. My knowledge about a location was augmented by over 170 different data sources that Google has aggregated and associated with geospatial data. As the number of data sources continues to grows, it will become increasingly useful and valuable. Yesterday I read the NGA's (National Geospatial-Intelligence Agency) 5 year plan. Their motto is "Know the Earth, Show the Way, Understand the World." Awesome! Sounds like a super-secret, hyper-ambitious, massively powerful version of Google Field Trip. 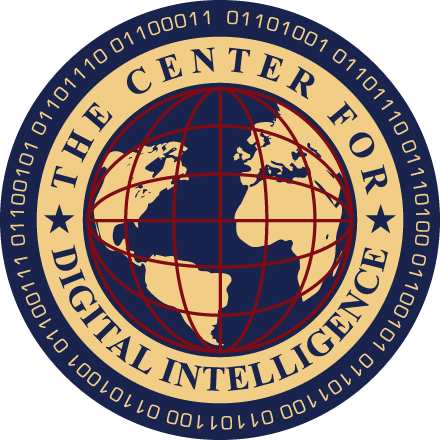 Their job is to design, develop and support a geospatial intelligence platform that can be used by many different agencies to collect, analyze, share and collaborate around geospatial data for the purpose of national security and to help respond to natural and human-made disasters. The NGA has a big job. Their mission is to provide ubiquitous access to GEOINT (geospatial intelligence) by creating an intuitive online environment that facilitates effortless and seamless access to geospatial content--data and intelligence-- anytime, anywhere. They want to help the "good-guys" spend more time analyzing data and doing "good", and less time trying to collect or discover geospatial data that is already available in another system or database. They want to make it much faster and easier to find and use. Again, kind of like Google Field Trip, except instead of a historical marker popping up, it may pop up information about all known bad guy activities in an area as a convoy or patrol is moving through a region. 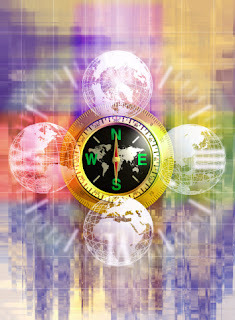 It is important to understand that GPS coordinates can be associated with all kinds of different information including physical features of the land, assets, natural and human resources, activities, cultures, religions and past events, etc. Here is more on NGAs mission, "Our purpose is to provide deeper, contextual analysis of places, informed not only by the Earth's physical features and imagery intelligence, but also by human geography." Human geography is the study of how humans, communities and cultures interact with and are impacted by the locations and physical features of the land where they are located. Wow! That includes a lot of areas of study! Let's stop for a minute and consider again the convergence of the physical world with the digital. The physical world is being digitized through all kinds of collected and stored digital information about it. This enables organizations, either government or commercial, to associate all kinds of information to a physical location and visualize it on a computer or print it on a 3D printer so you can run your fingers over it. Once this information is analyzed, algorithms can be designed that make judgements and predictions about a location based on collected data and big data analysis. The NGA calls this discipline, anticipatory GEOINT analysis. The ability to predict different things based upon analysis of geospatial intelligence. One of the biggest problems that NGA is trying to solve is data and organizational silos. They want to find all of the data and content, and release it for discovery and use by all relevant and approved agencies and security levels. The events of 9/11 taught us the disastrous results of not sharing data across agencies. There are many lessons to learn from the technological, management and strategy advancements being made in and around geospatial intelligence that can translate into positive value in the commercial sector. Companies like Amazon, Netflix, Zillows and many others understand the reality of the convergence between the physical and digital worlds and are embracing geospatial intelligence to their benefit. They are winning with these strategies! The True Cost of Mobility - a new whitepaper - Enterprise corporations are under tremendous pressure to develop and deploy mobile apps for their business systems, yet the traditional approach to mobile app development typically costs $250K+ and takes 6+ months for a single app. IT professionals are exploring platforms that radically reduce costs and time-to-market for their mobile initiatives, especially around complex applications such as SAP, Oracle, or custom applications.